SafeSeal Understands The Science of Waterproofing. It is important to keep water and sewage from entering your home whether it is coming in via a crawl space or basement. Water and Sewage will destroy your water heater, furnace, electronics, furniture, framing, siding, drywall, doors, trim, flooring and other materials used to build your home. 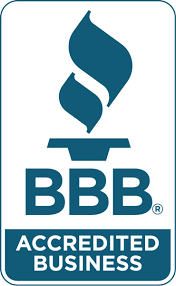 SafeSeal is a DBA of Concrete Crawlspaces and Basement Waterproofing Corp. We believe that “good” and/or “better” is the enemy of the best. We know that short cuts and band aid solution do not solve anything. Most people understand you get what you pay for and there are reasons different products and services cost more. There is a difference between a BMW and Chevy. What most people do not understand are the other hazardous problems related to the health of their home. Specifically, the air the family breathes in every day. We heat air and we cool the air to make the home more comfortable because we can feel cold and we can feel heat. We also humidify and dehumidify the air because we can feel the moisture or lack of it. What about what you cannot see? Radon, mold spores, VOC’s (Volatile Organic Compounds), methane and many other harmful gases and vapors. If the air quality is not addressed at the same time water issues, your family could be become sick from the air in your home. The SafeSeal System addresses water, gas, vapor and air intrusion. The systems we install are comprised of the best materials available to deliver a lifetime solution that you can trust. We promise never to sacrifice quality to save a buck or two and we promise to never sell you anything that you do not need. Dollar for Dollar, Apples to Apples, the SafeSeal System is the best system available because it truly separates the earth from your living space and protects your family. Bonded, Insured – Insurance is an expensive responsibility we take seriously. 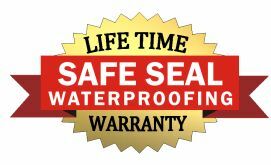 SafeSeal Offers the most comprehensive warranties in the business. Give us a call. 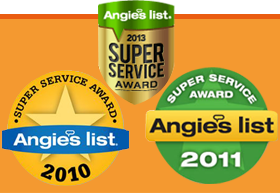 One of our experts will be happy to go over the warranty with you. SafeSeal pays living wages to its employees which allows us to retain the human resources we train to provide you with the best system available.